On the 150th Anniversary of the commencement of the United States Civil War, we are reminded of the great value of primary sources in helping us better understand the experiences of those that came before us. New research and analysis is emerging all the time to provide new perspective on the events and players in the war. It is our goal to ensure that you and your patrons can find the most valuable documents available for offering insight into the experiences of early Americans. 19th Century Masterfile is the most comprehensive resource for the discovery of 19th-century primary sources. 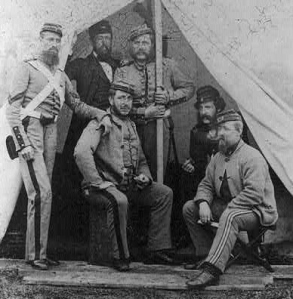 Find out more about using 19th Century Masterfile for Civil War studies here. To ensure you and your patrons don’t overlook the most valuable primary sources available for your historical research, contact us to try out 19th Century Masterfile today.